Overwater bungalows, tropical paradises and barefoot luxury – are these holidays you have dreamed of? Check out my top picks for luxurious but affordable resorts in the Indian Ocean. I have teamed up with Tropical Sky who offer a wide selection of holidays to the Indian Ocean. Their expert staff have visited many of the hotels and they will be able to recommend the right hotel to suit you. 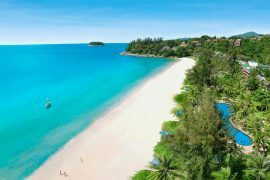 I have listed some of their four and five star affordable resorts in the Indian Ocean below, but Tropical Sky have many more options available, which you can see HERE. Whether you want B&B or All Inclusive, an organised tour of Sri Lanka’s cultural centre or pure relaxation in your own water bungalow, Tropical Sky can arrange it for you. Mauritius, one of the Indian Ocean’s most idyllic islands offers year round sunshine, white sandy beaches, but surprisingly so much more! Explore the hidden waterfalls at the heart of the jungle and go in search of some of its extraordinary wildlife. You will be spoilt for choice with the many watersports available, you can even go whale watching! The lush green interior provides some championship golf courses and the mix of Asian and African cultures help to provide some mouthwatering creole cuisine. See all Mauritius holidays here. Veranda Pointe aux Biches is a hotel that epitomises laidback luxury – guests are encouraged to go barefoot during their stay ❤️. Feel relaxed in the wellness lounge, enjoy some spa treatments or try the host of watersports available. If you fancy a change of scene, you can pop into the nearby village of Grand Baie, which has a wide selection of restaurants, shops and bars. Highly rated on tripadvisor, with all meals and drinks included in the price, this is excellent value for a great hotel. Five star luxury on the most scenic shoreline in Mauritius – need I say more? With a stunning setting, combining the backdrop of Le Morne mountains with stunning seaviews, this is the sophisticated choice. Cascading pools, tropical gardens and all-suite accommodation – this resort oozes elegance and style. Try out the opulent Clarins Spa or take in one of the many excursions available. With words like ‘paradise’ used continuously on tripadvisor, this hotel is surely one of Mauritius’ best. A destination on every bucket list, you only have to mention the Maldives and people start to daydream! Expect over water bungalows and an underwater paradise to match. Some resorts even have underwater restaurants and some bungalows have their own personal slide into the sea! 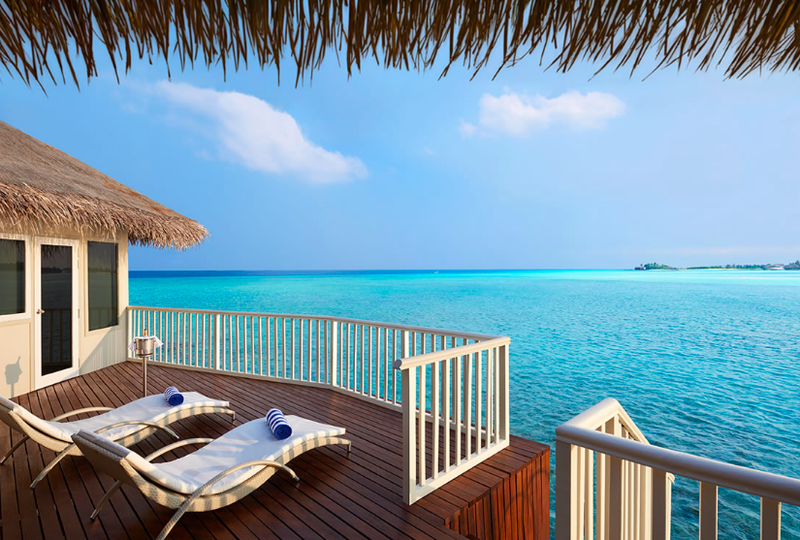 When it comes to luxury paradise islands, the Maldives ticks all boxes, and then some! One might think that all of these resorts come with a hefty price tag. Not so…. See all Maldives holidays here. If a trip to the Maldives is on your bucket list but your bank balance is telling you not to go – then this is the place to go! The Cinnamon Dhonveli is one of the best value ALL INCLUSIVE resorts in the Maldives. With all meals and drinks included in the price of your stay, you will need very little spending money. 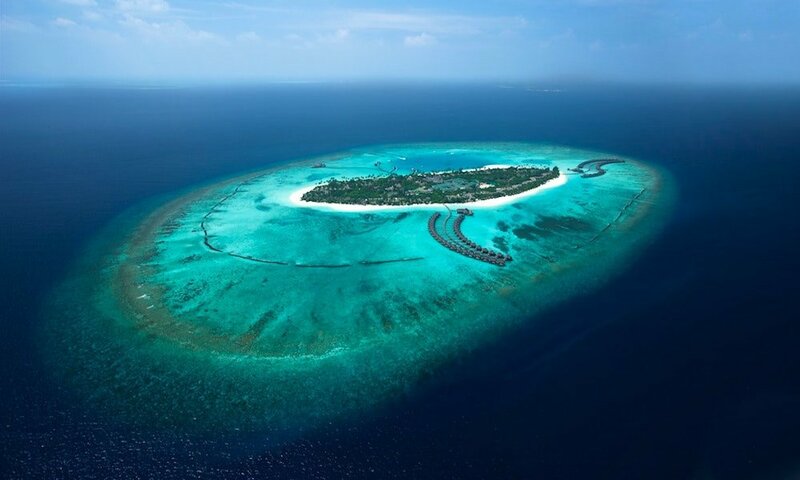 Located just 25 minutes by speedboat from Male airport and surrounded by stunning views of the Indian Ocean, this tropical island is highly rated on tripadvisor and is extraordinary value for a week in the Maldives! 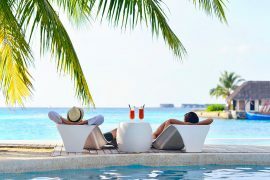 5* The Sun Siyam Iru Fushi, B&B, Flights, Sea Plane Transfers & Beach Villa from €2059! A tropical paradise, the Sun Siyam Iru Fushi resort has thatched roofs, an adult-only infinity pool and according to the International Hotel Awards, has the best Spa in the Maldives. 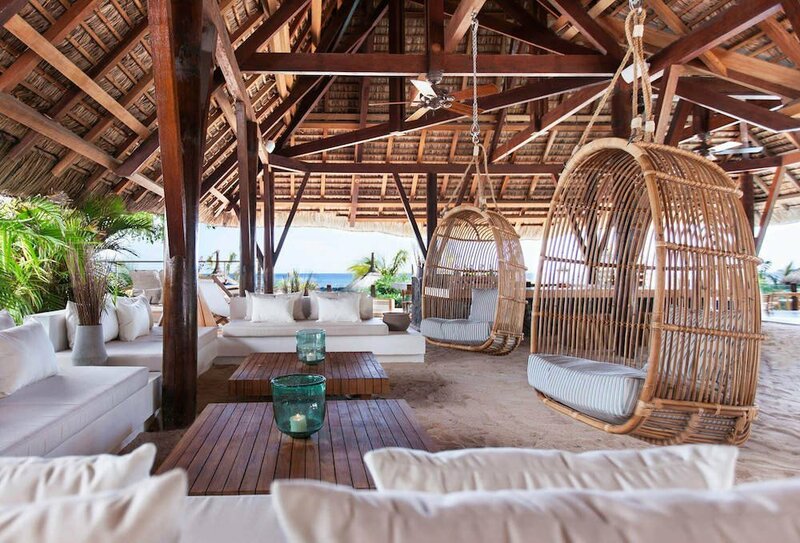 Your cool beach villa has stunning views with a comfy day bed. There is a fitness centre on site as well as mini-golf and tennis courts. Non motorised watersports are included in the price of your stay so you can snorkel away to your hearts content! There is a wide choice of dining options and you can choose to upgrade to an all-inclusive package if required. Privacy is paramount at this hotel, it even has a no drone policy. This paradise island receives excellent reviews on tripadvisor, so you can expect to have a holiday of a lifetime! Sri Lanka is one of those islands that thankfully has not yet been discovered by the masses. With a coastline of white sandy beaches and an interior full of rolling hills and tea plantations, it is the perfect island of contrasts. For those who fancy some culture mixed with beach time, the eight UNESCO World Heritage Sites, fascinating temples and elephant safaris should tick all boxes. 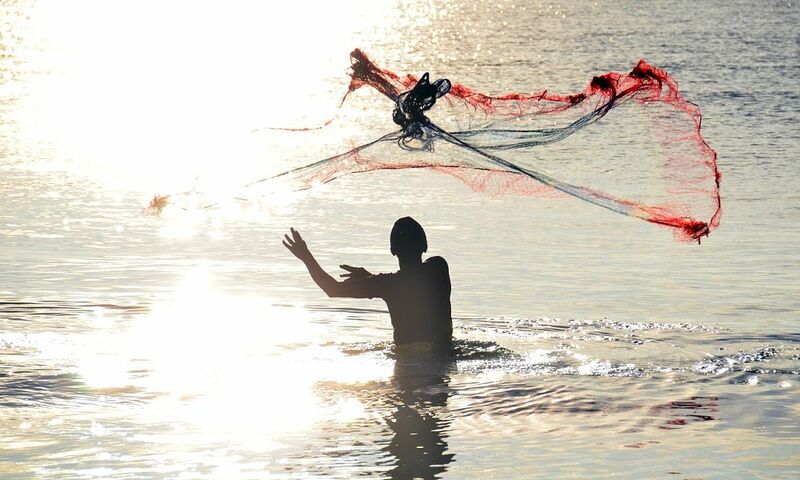 See all Sri Lanka holidays here. If you are looking for a lively holiday in one of Sri Lanka’s party resorts, then this is for you. Located in Hikkaduwa, this musical town combines fun, sun with lots of activities. 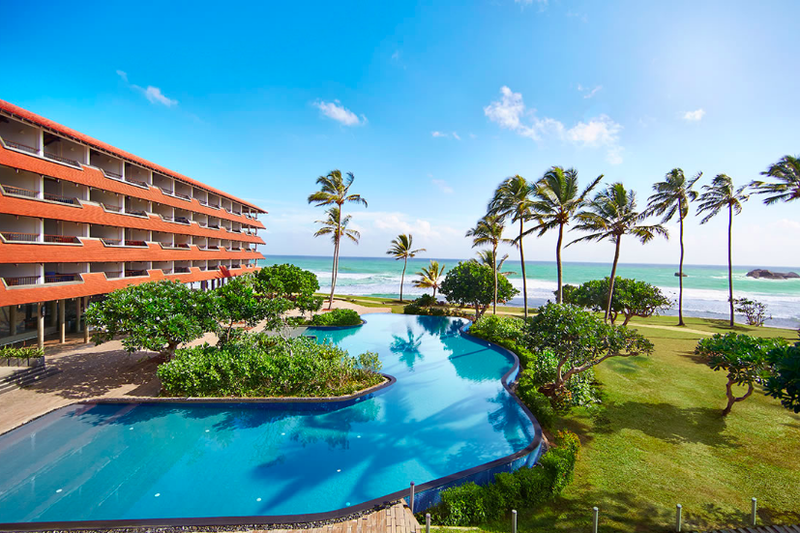 Expect party vibes and beach views and with all meals and drinks included in the price of your stay, this must be one of the best value resorts in the Indian Ocean. 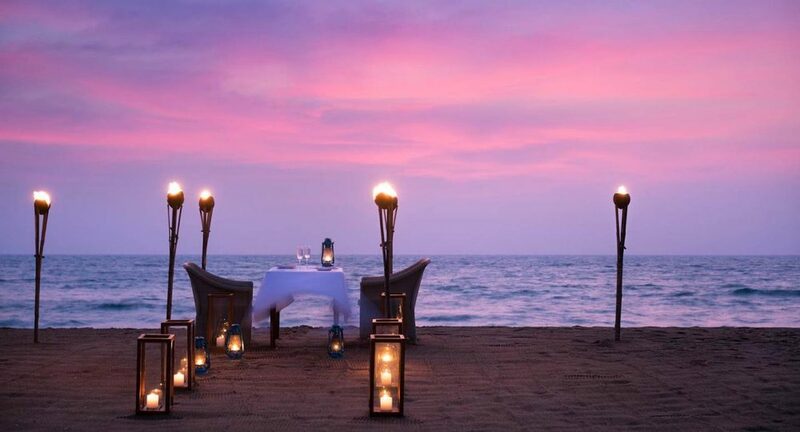 5* Anantara Kalutara Resort & Spa, Flights, Transfers & Hotel Half Board from €1429! Anantara are renowned for offering deluxe hotels and the Kalutara Resort & Spa is no exception. Overlooking the Kalu River this luxurious hotel offers everything you need for a relaxing holiday, but within reach of Sri Lanka’s highlights. There are three restaurants and three bars on site, as well as a Spa, two swimming pools, yoga, gym and numerous watersports. This amazing deal includes a free upgrade to Half Board and is valid up to 31st October 2019! Rated number 1 on tripadvisor, just read the reviews if you still need convincing! Prices are correct at the time of issue but are subject to change. This post was sponsored by Tropical Sky but all views, as always, are my own. Like long haul holidays? See more destination guides and travel deals here. 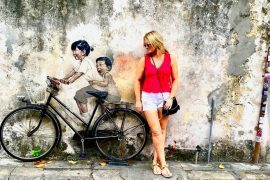 My Penang Travel Guide, All You Need to Know And Why You Must Go! 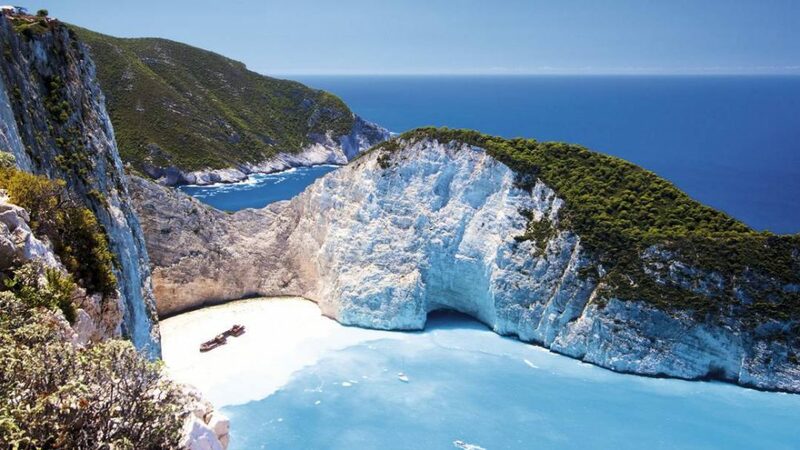 Summer Package Holiday Deal to Zakynthos, 13th August, 1 week, €465! 5* All Inclusive Holidays in Mexico, Direct From Dublin, Two Weeks, From €1109! 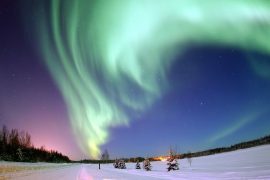 Weekend In Iceland, 2nd January, Flights & Hotel, 3 Nights, €309! 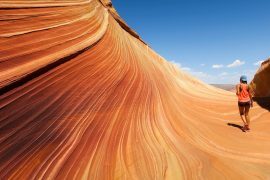 3 American Tours You Need To Take – Prices from €1,799 Including Flights. Next articleThe Best Alternative Christmas Markets – Take a Trip to a Winter Wonderland!